My son is leaving home. Not today or tomorrow or even a month from now, but in 9 months he will begin a new life. The metaphor for this new evolution and birth are not lost to me. This time he is going to college. Three years ago I wrote a post about (daycare / preschool drop-off) separation and how to make it an adventure. This year, I am the mom, not the not the teacher, and it is far from an adventure; closer to a nightmare. In the 1800’s, the traditional academic year was quite different in New England. An element of seasonality was incorporated into how the school term was determined. In rural areas, children who helped out on the family farm attended school during the winter and stayed home to assist with the harvest during the summer and fall. In a one-room schoolhouse, grade levels were often mixed and one teacher was responsible for all of the students’ learning. A man or woman, the school teacher assigned tasks to each student depending on the pupil’s age, grade, and level of advancement. 19th century poet, John Greenleaf Whittier, wrote a poem that describes well a typical country schoolhouse in New England. A Quaker, abolitionist, and native of Haverhill, MA, Whittier is part of a group of poets also known as the schoolroom poets. Whittier, William Cullen Bryant, Henry Wadsworth Longfellow, James Russell Lowell, and Oliver Wendell Holmes Sr. were considered the first American poets to bring forth an authentic American voice and rival the British poets. They were referred to as the Schoolroom Poets, Fireside Poets, or Household Poets given their popularity and widely read works. 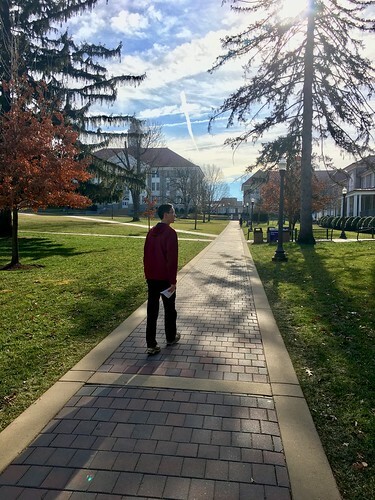 One of Whittier’s poems, “In School-days,” read here in this video by Tom O’Bedlam, describes the memory of an old man as he recalls a fellow student and the life lesson she taught him. 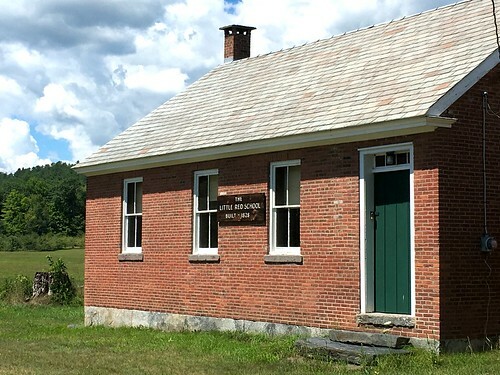 Here in Western Massachusetts there are many preserved historic school houses people can visit to learn more about schooling and education before the 20th century. Who Were the Fireside Poets? In this video by Kylee Reschke, five Fireside Poets from the 19th century are introduced. Discover why they are called the Fireside Poets (also known as the Schoolroom Poets) and why they are relevant today. Hilltown Families and Mass Appeal (a weekday, hour-long lifestyle program on NBC) have teamed up to offer a live monthly segment on WWLP 22News! Each month, Hilltown Families’ Founder & Executive Director, Sienna Wildfield, joins Mass Appeal hosts to talk about ways to engage in your community while supporting the interests and education of your children (and yourselves!). Download a copy of Learning Ahead: Cultural Itinerary for Western MA. (38 page PDF) for the fall season. 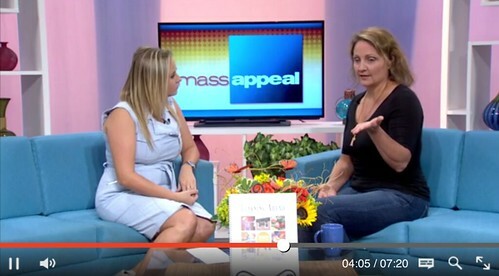 Mass Appeal is a live weekday program that airs at 11am on 22News (Springfield, MA). Our next visit to the Mass Appeal studios will be September 26th, 2016! 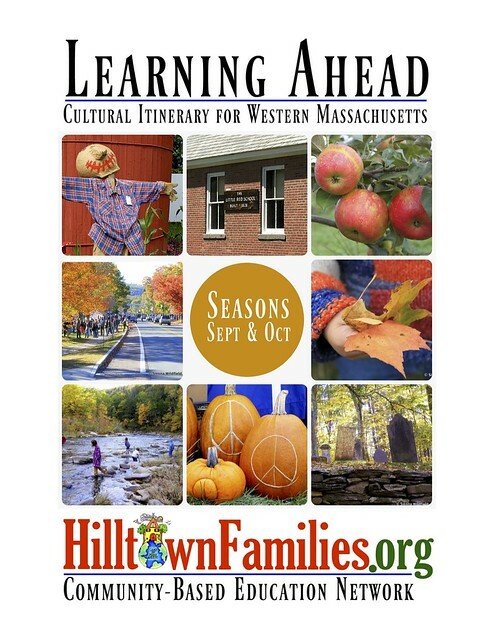 Learning Ahead: Cultural Itinerary for Western Massachusetts is a new bimonthly publication produced by Hilltown Families that sheds light on embedded learning opportunities found in cultural resources that exist within the geography, history, and cultural traditions of Western Massachusetts. FEATURED VIDEO: Official video for song “Champion of the Spelling Bee” from album No School Today by Danny Weinkauf. Lead vocals by an 11 year old Kai Weinkauf. Video by Vanessa Appleby. This way for a welcome diversion! Last weekend, I went with my littlest kids to the Tri-County Fair in Northampton, MA. It turns out that there have been close to 200 of them, and it is the oldest “agricultural fair” in the Nation. Being at the fair is a throwback. Not to a gentler age, but to the inescapable grittiness that has always been part of fairs everywhere. Sure, some things are different. In 1816, a person might have eaten beans and ham with corn bread on the midway. 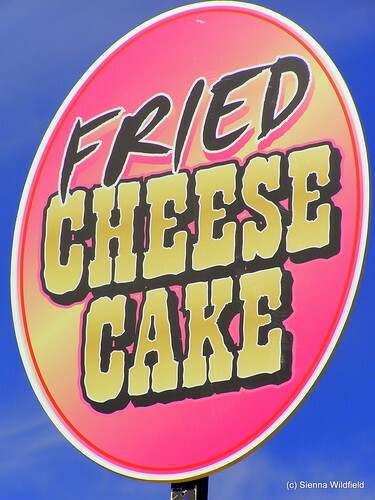 Now people eat fried cheese cake and chocolate covered bacon. Decades ago, a new showcase food might have been the now blasé ice cream cone. Last weekend I saw caffeinated peanut butter. Our memories provide a way for us as parents and grandparents to start discussions about emotions and the vocabulary of emotions with our children, explaining that we often have many feelings when things are changing. 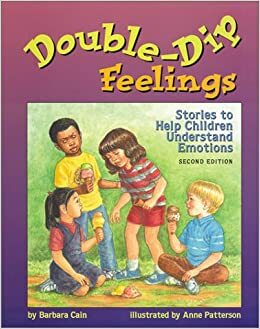 These conflicting feelings are called “double dip feelings,” as written about in Double-Dip Feelings: Stories to Help Children Understand Emotions. FEATURED VIDEO: “Smiling” by Grenadilla. FEATURED VIDEO: Title cut to Trout Fishing in Americas new CD, Rubber Baby Buggy Bumpers. “Children are often requested to carry a backpack to daycare or school so that personal items, work and projects can be safely carried to and from home. What should parents look for when making a purchasing decision about their child’s backpack?” Check out Robin McClure’s post, Before You Buy Your Child’s Backpack. 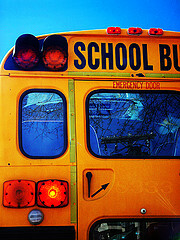 Labor Day weekend marks the return of school for many families! We’ve combed through our archives of questions we’ve asked our readers over the years that relate to this time of year and wanted to share a few gems that generated helpful community recommendations and suggestions that families with children going back-to-school (or just starting school!) can use. Be sure to check out our weekly post, Learn Local. Play Local. for weekly highlights of educational opportunities in the region students can participate in to supplement their studies in school and at home. We highlight many different types of place-based educational events, raging from local history to culinary arts, geology to nature science. Wonder what to do with those hand-me-downs from last year, especially old clothing that is ripped, stained or otherwise unable to donate/wear? Look for that back-to-school hair cut? Looking for a new pediatrician to care for your child when they come home from school with strep throat or in need for their yearly physical or vaccinations? What about lice? How can you prevent your kids from getting lice from their classmates? What do you do if they do get it? Kids Got Lice? What to Do! What Do You Wish They Taught More Of in School? Lissie Fein writes, “Where are some recommended places to buy children gym shoes/sneakers? 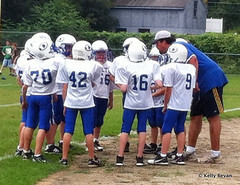 The 2011-12 football season started off with a BANG at our house this year — literally — after my son, Max, attended a Labor Day football jamboree and saw stars (or a least a bright flash of light as he describes it) after being tackled by a 7-foot, 200-pound mammoth of a player. OK, according to Max the kid was not much bigger than his 5-foot, 85-pound frame, but he looked big and as my son jumped to intercept a pass this kid laid him out. Max got up a little slow and unsteady on his feet after the hit and headed to the sideline where he stayed for the remainder of the jamboree. We spent Tuesday morning at the doctor’s office, and until we can get an appointment with a neurologist to further explore the extent of the concussion Max is grounded — again, literally. No jumping, running, skipping, sneezing, video-game playing, eye-rolling, head shaking, brother teasing … Nada! “How bad can that be?” you say. I’ll let you know. I’m thinking this very active, ADHD child who thrives on football and activity is not going to fair too well with these restrictions, but I’ve been wrong before. Let’s just hope we’ve kept the brain rattling to a minimum. You don’t need to suffer a concussion to see stars up close and personal in the Berkshires this fall. I promised you I’d find out more about the Milham Planetarium’s fall schedule (located in the Old Hopkins Observatory on the Williams College campus in Williamstown), and I have. According to the college’s website astronomy students at the college will host free shows for the public on select Friday evenings at 7:30 p.m. through Dec. 9. Dates are as follows: Sept. 16, 23 and 30; Oct. 14, 21 and 28; Nov. 4, 11 and 18; and Dec. 2 and 9. During these evening shows audiences will be treated to shows from the high-precision Zeiss Skymaster ZKP3/B opto-mechanical planetarium projector, installed at the college in April 2005. The Zeiss Skymaster is capable of demonstrating phenomena including: retrograde motions of the planets, phases of the moon, the varying temperatures/colors of stars, locations of neighboring galaxies, the mythological figures and zodiacal signs ascribed to constellations, the Southern Hemisphere’s sky, comets, artificial satellites and much more. 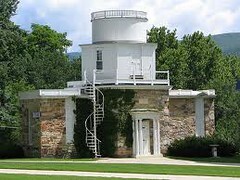 The Hopkins Observatory, built in 1836-1838 by the first professor of astronomy at Williams College, Albert Hopkins, is the oldest extant observatory in the United States. Shows will last about 50 minutes. For reservations (recommended) contact Michele Rech at 413-597-2188 or send an e-mail to mcr4@williams.edu. Others will be admitted as space permits. Large groups should call for special appointments. The kids headed back to school last week without much pomp and circumstance and returned home with a mountain of homework — for me! Emergency cards, general information forms, questionnaires to fill out, school handbooks to read and sign ensuring that you actually read them … Ugh! While my kids chilled out watching television after a “taxing” first day (Yeah, right), I spent the majority of the evening with carpel tunnel and a giant migraine. Among those forms were the first of the fundraisers peddling candles and wrapping paper, calendars and must-have seasonal decorations, all of which I do not need. But there is one fundraising flier that caught my eye and made me smile, and in my opinion, is the way a fundraiser should be done. For the past five years local Central Berkshire Regional School District parents Abe and Lisa Guthrie (Yes, they are related to THOSE Guthries famous Berkshire Guthries Woody and Arlo) have organized the annual Hilltown Hoot, a “fun-raiser” to benefit local schools. Originally the fundraiser was for the Becket/Washington Elementary School in the district, but last year the two decided the daylong music festival had been so successful in past years that they wanted to extend the benefits to all of the schools in the district, and this year is no different. On Sunday, Sept. 18, from noon to 7 p.m. local bands and performers, vendors, and more will converge on Washington Town Park (Route 8, Washington, MA) for an afternoon of fun, food, children’s activities, MUSIC and more. Some of the local (and world-renowned) talent includes students from the Becket Washington School Band, Terry a la Berry & Friends, Hilltown Zydeco String Band, Modest Me, Ryan Blessing, Annie Guthrie, Jordan Weller, Xavier (a band consisting of members Abe Guthrie, Tim Sears, Randy Cormier and Dan Teichert that started playing at our school dances went to school the district) and none other than Arlo Guthrie himself. Tickets can be purchased in advanced for a discounted price or at the gate. For more information on where to purchase tickets and for a complete schedule of events visit www.hilltownhoot.com. The Washington Town Park isn’t the only place Berkshirites can find music this fall, Central Berkshire Music Together, the internationally recognized music and movement program for infants, toddlers, preschoolers and the adults who love them, is offering free demonstration classes today, Sept. 8, and Saturday, Sept. 10, at 10 a.m. at South Congregational Church located on South Street in Pittsfield, and on Friday, Sept. 9, at First Congregational Church on Main Street in Williamstown, to prepare for the upcoming 10-week fall semester. My twins began going to these classes in preschool and Shea, who was still in an infant car seat at the time, attended, too, and I swear that is where he got his rhythm. To this day, he loves to dance and sing, and has more of that “groove thang” than anyone else in the house. Thank you Sandy! For more information visit www.centralberkshiremusictogether.com or call 413-637-1265. PB&J. Cheese stick. Yogurt. – (Snore!) – Does your inner chef have a fresh, creative idea to share for our back-to-school, lunch toting kids? Amy Kane-Coyne suggests, “Radiatori pasta tossed with (locally made) Ooma Tesaro Mariara (had to give a shout out–especially since Jackson–my picky eater–who does not like tomatoes–loves the Oomas). The natives are getting restless. The war cries signaling that two brothers have had enough “together time” this summer resonates throughout the house. A drum beats slowly and methodically in my head as I reach for the bottle of ibuprofen to stave off yet another kid-induced migraine — peace drums here, not a chance — while I ready myself to intervene in the latest battle between these warrior brothers: “I will not bet you a dollar that I can be quiet all the way home because you didn’t pay me the dollar last time I won a bet” … “Well, I didn’t pay you because you cheated.” … “I didn’t cheat, a yawn doesn’t count as talking.” … “Well, two years ago when I yawned during the bet you counted that as talking.” … And on and on it goes. And then the smoke signals appear from my seething 12-year-old daughter’s ears (her summer has been spent either loving me or hating me, there seems to be no in between these days), and for the moment she does not like the fact that I have asked her to change out of the short-shorts that are slowly creeping up her backside because she has grown over two inches since they were purchased in May. Start your weekend off right with a family-friendly outdoor barbecue where kids can play and parents can socialize. Berkshire South Regional Community Center on Crissey Road in Great Barrington is hosting a barbecue this Friday, Aug. 26, from 5:30-7 p.m., in their outdoor courtyard complete with hotdogs, hamburgers and more. For a small fee family members can grab a bite to eat, spend some time on the play structure or bounce around in the bouncy castle. All one has to do is sign up at the front desk or call 413-528-2810. For more information visit www.berkshiresouth.org. Can’t make the barbecue? The community center will also host a Community Supper Mon, Aug. 29, from 5 to 7 p.m. in the lounge and meeting room. This supper, with seatings at 5 and 6:15 p.m. is free (monetary donations or donations of nonperishable foods are excepted) and features a fabulous meal prepared by some of the Berkshires’ finest chefs, including Naji Nejaime (Naji’s), chefs from the Route 7 Grill, Annie Dinan (Dinan with Annie), Jim Gop (Guido’s), Michael Ballon (Castle Street Café), the Berkshire CoOp, Tommy Lee, and the Masiero Brothers (Guido’s and Baba Louie’s). To reserve a seat call 413-528-2810, ext. 10. If the increased wearing of sweatshirts and layers are any indication that the end of summer is near then so, too, are the last of the outdoor movies. Today, Thursday, Aug. 25, at 5:30 p.m. the Norman Rockwell Museum will screen “Ice Age: Dawn of the Dinosaurs,” in Stockbridge. For more information go online to www.nrm.org. Then on Friday, Aug. 26, the town of Adams will celebrate Christmas in August with activities and a visit from Santa beginning at 6 p.m., followed by an 8 p.m. screening of “The Polar Express.” For more information visit www.celebrateadams.com. The last of the movies on the summer schedule is set for Sunday, Aug. 28, on the Dalton CRA lawn, Main Street, Dalton, where a screening of “The Incredibles” will help celebrate Back to School Movie Night. The movie will begin at 8 p.m. Visit www.daltoncra.org for more details. If you have read any of my previous columns you will know that I’ve had a little infatuation lately with teaching my children about local history and, surprisingly, I have found that a cemetery is a treasure trove of historical information. Apparently the members of VOICES Theatre Company have found another use for the area’s cemeteries: performance space. Tonight Aug. 25, and also on Sept. 1 and 8 the company will perform “Shades of the Revolution: A Ghostly Re-Enactment of People, Places and Scenes from Pittsfield’s Past,” with actors dramatizing key scenes from Pittsfield’s colorful early history at the Wahconah Street Cemetery at 7 p.m. There is a small fee, but it sounds intriguing, for lack of a better word. For more information 413-442-1793 or pittsfield250.com for more information. I love the fact that there is so much to do around the Berkshires that will entertain the entire family while leaving your bank accounts virtually untouched. I’ve discussed various free hiking opportunities throughout the Berkshires, and let me tell you the small price of a $2 parking pass was definitely worth the trip we took to Natural Bridge Stage Park in North Adams last week. From local parks, to free community days at local museums and venues, to a plethora of art galleries and historic sites throughout the area, there is never a lack of something to do at anytime of the year. And if I wasn’t heading to Boston today for a much-needed parental vacation with my husband I would definitely be capitalizing on one of these free opportunities, Friday, Aug. 26, with my family. From 10 a.m. to 5 p.m. the Berkshire Museum in Pittsfield will offer free admission as part of the highland Street Foundation’s Free Fun Fridays. With myriad opportunities to view a variety of geckos, create an invention of one’s own, partake in an archeological dig, journey under the sea (lake, stream or river) and more, this is definitely a free activity you won’t want to miss. For more information visit www.berkshiremuseum.org or call 413-443-7171. Another free activity for families, besides a hike on any one of the trails leading up to Mount Greylock’s summit (I still haven’t gotten to the Cascades in the Greylock Reservation, but summers not over yet), is the Aug. 31 “Guide to Understanding the Stars” with Kevin Collins beginning at Bascom Lodge atop the mountain at 6 p.m. Sounds pretty interesting, if the forecast is for clear skies that night our family just might take a short vertical drive that evening. Call 413-743-1591 for more details. Are your children’s back to school supplies safe? Make sure your children’s back to school supplies are safe & PVC free! Did you know your child’s school supplies may be loaded with toxic PVC plastic? Go PVC-free this Back to School Season with their free guide. Click here to download their free guide. Getting the kids back to school can be such a hectic time: trying to get everyone back on schedule, making sure they’ve all got their new lunch boxes and back packs, and soothing any new school jitters can take a lot out of a mom! I don’t know how things work in your family, but for us music always helps to ease transitions, so of course I’ve compiled a list of school songs for Ivan to listen to as he gets ready to start his new year as a big five year old boy! Back to School by Steve Blunt – A great way to start the new school year! Steve’s song starts out sad about the end of summer, but he learns that his new teacher is actually pretty cool. 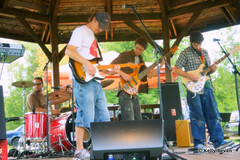 Steve Blunt is a local musician from New Hampshire and his two CDs, Hang on Henry and Outta School, are really fun. He has a way of telling a story through song that can sometimes catch you off guard—in a good way! In the Back of the Bus by Bill Harley – Bill Harley is the ultimate story teller. I love this rock and roll song about the kids who sit in the back of the bus—they just might steal your hat or eat your lunch! But as with all of Bill’s songs and stories, it’s all just part of the fun. Take Me to Show-and-Tell by Sarah Lee Guthrie & Family – When I was a kid, one of my favorite things in school was Show-and-Tell. I remember taking my pet mongoose in once. I think the teacher in Sarah Lee Guthrie’s song would have been angry at me! Sarah’s voice is so sweet and I love how her kids join her on the chorus. Her music is definitely a family affair! Reading a Book by Ben Rudnick & Friends – There are so many great songs about reading and this one by Ben Rudnick & Friends is one of my favorites. They say that “anything can happen when you’re reading a book” and let your imagination take wing. So true! Once Upon a Time by Judy Pancoast – Judy Pancoast’s song about reading focuses on knowledge rather than imagination. Her princess character reads books to learn about the world because her father won’t allow her to go to college. She says she doesn’t want to just sit around and wait to be a prince’s wife… and she’s only interested in a prince who reads just like her! What a smart girl! Library by SteveSongs – Where are you going to find all those wonderful books? In the library! SteveSongs gets so excited about all the cool books at the library that the librarians need to hush him! Recess Time by Asheba – We all need a break after all that reading. Asheba’s up-beat reggae song is about children running and playing on the playground at recess. Asheba’s songs are all so positive and full of life! Sack Lunch by Recess Monkey – I love this song by Recess Monkey! The song is sung in the voice of your sack lunch while you (the student) are on a field trip. The guys of Recess Monkey are able to give ordinary things such importance—and if you get the chance, check out the video for Sack Lunch, it’s hilarious! Big Field Trip by Justin Roberts – Justin Roberts is one of the kings of kids’ music. We got to see him live this summer at the Regattabar in Harvard Square. What a show! Like so many Justin Roberts songs, Big Field Trip is so much fun to sing along to. Give it a try! Share by Renee & Jeremy – What’s the most important life lesson you learn in kindergarten? Sharing, of course! Renee & Jeremy use their perfect harmonies to get the message across beautifully: If we all share love will surround us! Taking Turns by Leeny & Tamara – Leeny & Tamara’s Taking Turns has a similar message: we can all get along and play together happily if we just take turns. Another great school lesson! Naptime by Charlie Hope – You know what Ivan does when he gets home from school? He takes a nap. He has so much fun learning and playing all day that he comes home exhausted. Charlie Hope’s song about naptime is a great way to get in the mood—but her lullaby CD, World of Dreams , will seal the deal. Featured Video: Our friends over at Boston Children’s Music turned us on to this new video, “Bookmobile Submarine” by John Hadfield. When your child heads back to school, it’s a great time to start talking with his teacher. What can you tell a teacher that will help him do his job better? You might be surprised. While your child’s teacher is the expert in education, no one knows more about your child than you do. It’s just as important for parents to tell teachers about issues at home that may affect school performance as it is for teachers to report how children are doing in the classroom. Students do best when parents and teachers work together as partners. The start of a new school year is a great time to open a dialogue with your child’s teacher. Not sure where to start? Here are seven things teachers wish you would tell them. Sharing this information with a teacher will help her better understand your child’s needs and lay the groundwork for a cooperative relationship throughout the school year. READ MORE: 7 Things to Tell the Teacher About Your Child – GreatSchools.net. 1. Listen to what’s happening. If she’s stressed or upset about cliques, teams, new subjects, or anything else—give her your attention. Provide her time to get things out and do some processing before jumping in with judgments or suggestions. 2. Help him keep perspective. Gently remind him that there are more important things than who’s wearing what, or who is going out with whom. Let him know (in word and deed) that you love him for who he is, no matter what. 3. Set the stage. Ask your child what a successful school year would look like for her—friends, sports, activities, dating—and then have her tell you about how important each goal is to her and if she thinks each one is realistic. It’s OK to discuss your expectations regarding grades, but remember the important lessons learned outside the classroom and all the pressures which face our kids today. 4. Nurture your special father-child bond. Go out for ice cream, go swimming, shoot hoops, or do something you know he loves. The beginning of school is a great time to begin a new tradition. How about a lunch date the last Saturday of every month? 5. Let her cope and experiment. School can be a great place for her to learn important personal and interpersonal skills which will serve her later in life. Don’t rush in to solve every problem – listen. But never back down where her personal safety is concerned. 6. Walk a mile in his shoes. Try to imagine what he’s experiencing and what it means to him. Your understanding and empathy can help him make it through his own trials. 7. Celebrate success. We dads sometimes tend to focus more on what’s not going right than we do on what is going well. Be sure to let her know how proud you are of her talents and accomplishments—even if they are not readily recognized by others. 8. Be his hero. Stay always mindful of his unique spirit and give him your loyalty, kindness, acceptance, respect, and support. Your influence in his life is unique, so make it as positive as possible. 9. Tell stories about yourself. Many things have changed since you were a kid, but most of the important stuff is still the same. Share your own youthful struggles with staying true to yourself, your values, and your friends. Don’t make every story into a lecture, and be sure to admit your mistakes—they can teach her a lot (starting with humility)! 10. Honor his interests. Even if his passion isn’t your first choice for fun, be there for him, let him teach you about his interests, and learn why he’s passionate about them. Your validation is a huge help to him. Yes folks, the vacation’s over. It’s back-to-school time! Take a deep breathe and you can almost smell the nervousness, anticipation and excitement in the air. And that’s just what some parents are exuding into the environment. What about the kids? School is a touchy subject. Everybody has an opinion — about teachers, MCAS, the abundance of homework, the lack of homework, the importance of recess, the elimination of recess and most recently, the state of school lunchrooms. There has been a strong movement in the United States, since Mrs. Obama started her Let’s Move campaign to address the growing epidemic of childhood obesity, to revamp school lunch programs. In April I spoke to Josh Viertel, the president of Slow Food USA a grassroots organization that, according to its website, “envisions a world in which all people can eat food that is good for them, good for the people who grow it and good for the planet.” Viertel spoke to me about the organizations Time for Lunch campaign which advocates for changes in the Child Nutrition Act, the piece of legislation that is responsible for funding and establishing guidelines for the National School Lunch Program. Viertel and his organization members are not the only ones who headed to Washington this year to address this issue. I am a firm believer in revamping the school lunch programs in our schools. Afterall, I am guilty of throwing the organic eating out the window during the school day and allowing my children to purchase the all-too-often unhealthy school lunches. But I also don’t want to put too much emphasis on the school’s responsibility in all this. Yes, they are responsible for feeding our children the healthiest, most nutritious food they can with the funding they have available to them, but so are we parents. “Nutrition and healthy nutrition has everything to do with the success or the struggle that (your child) will have,” said Izzy Lenihan, a Pittsfield-based life, career and wellness coach and mother of two, in recent interview. Tune in to the Hilltown Family Variety Show on Saturdays from 9-10am on Valley Free Radio (VFR), 103.3FM (Northampton, MA), or listen via streaming audio at www.ValleyFreeRadio.org. Every Saturday VFR offers four hours of commercial-free, quality family program from 6-10am, including Spare the Rock, Spoil the Child from 7am-9am. It’s better than Saturday morning cartoons! Turn off the T.V. and turn on local community radio!